hardwood floors, Bedroom with King, Den with queen sleeper, marble bathroom, gourmet Italian kitchen, balcony overlooking downtown and St. johns River, in unit washer and dryer, cable TV (2) , high speed internet/wifi spa, pool, saunas, hot tubs, pool tables, 24 concierge, valet parking, in garage parking (1 dedicated space), library, business center, water taxi to NFL games, downtown, museums, restaurants, beaches and shopping nearby, leather living room furniture, 2 smart televisions.. I love the downtown life and bought here for this very reason. There are so many things to do and places to see. I wanted to be spoiled and I got it all with this place. So you can be near everything. you will not lack for things to do in this town! Symphony, musicals, theater, nightlife, clubs, music, museums, walk to all of them. The view of downtown and the river from the balcony is fantastic. huge marble bathroom with soaking tub and large glass shower, has long vanity as well as washer and dryer, hairdryer. Restaurants galore within walking distance, museums, NFL football, The Landings downtown restaurant and music venue. Sit on your balcony and look out at the St. john's river. Stainless also has rack for double layer cooking. custom design Italian wood, microwave, stove, refrigerator, granite counter tops, island, all small appliances. Also have use of a huge kitchen with gas grills and 2 ovens on 38th floor. 2 40 inch TV's. 1 in living room 1 in bedroom. Speaker with great sound. Portable can take to balcony pool etc. Condo has a game room with pool tables and other tables. In game room on 9th floor. Also has a poker table. We have some DVD's there. 1 men and 1 woman's in spa area and 1 for all in pool area overlooking river and waterfront. The condo was new, sophisticated, and delightful. I felt like we were staying in a 5 star hotel because the pool, gym and meeting rooms were so lovely. The owners were very attentive and accommodating. The owners couldn't have been more accommodating. We liked it so much we hope to return in 2017. We spent three wonderful weeks in this truly luxury condominium! All the facilities you could wish for and in the perfect location for both downtown, quality restaurants and the I95. The communication between the owners before, during and after our stay exceeded our expectations. 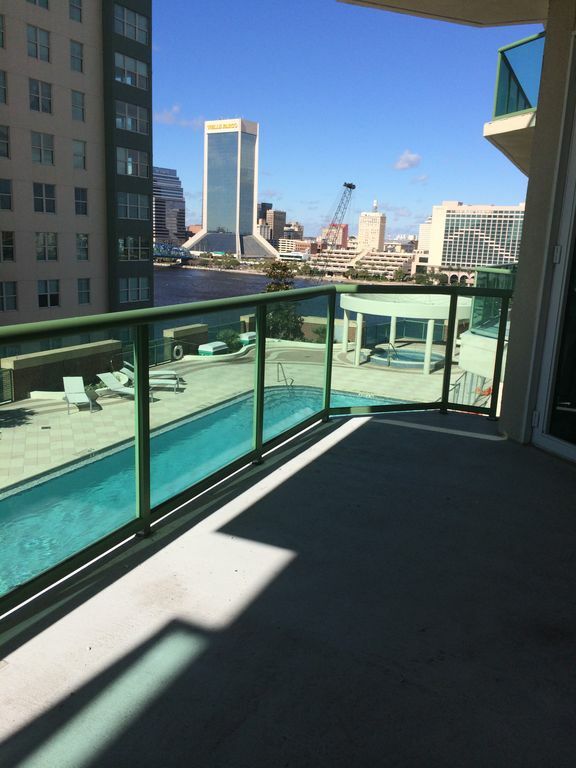 This apartment will be top of our search list the next time we are coming to Jacksonville.